We are just a few days away from February, and we all know February is all about Valentine’s day, or at least the first half of month is LOL🤣! 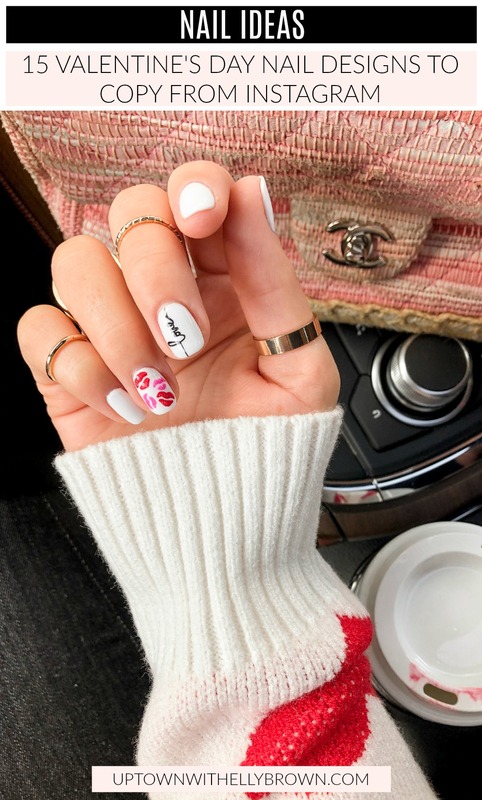 I love getting my nails done, and I thought it would be fun to round up 15 of the cutest Valentine’s Day nail designs on Instagram. From pink to red, hearts and more! It’s all here (even neutral designs for my girls who love black)! Comment below which one of these Valentine’s Day nail designs is your favorite! And if you get any of these designs done, share them on social media with me! Scratchy pen hearts for @xoninackim 💕 I used FBL ‘boujee’ + ‘Blackout’ + ‘Slay’ ✨ use my code MEG when shopping FBL for 20% off + keep your eyes peeled for that Behind Closed Doors collection restock. These might be my fave nails 💅… ever!! 😍❤️🥰 Only 3 weeks early, but I’m ready for Valentines Day! . I’m obsessed with that little tic tac toe board with ❤️ clearly winning! For the scattered hearts we did it over a clear nail, which it’s actually my first time doing a design with a clear nail base! And of course like always the other nails are all varying shades of ❤️ and 💕! These are hand painted and not stickers or stencils which makes them all the more amazing! LOOKING FOR MORE NAIL IDEAS?